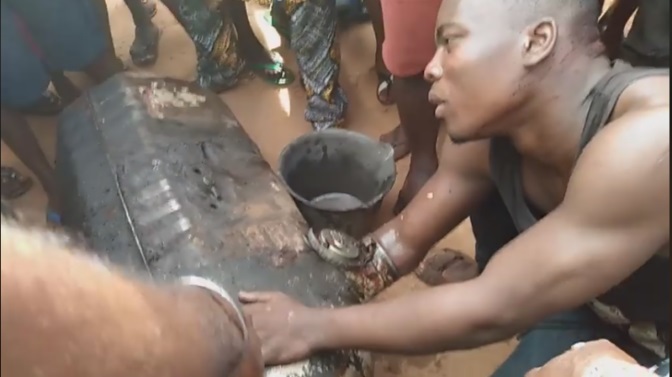 Home » » Drama As Thief Gets Trapped While Stealing Fuel In Anambra. 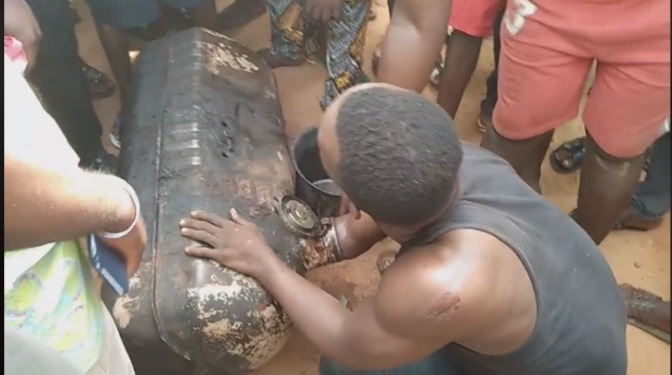 Drama As Thief Gets Trapped While Stealing Fuel In Anambra. 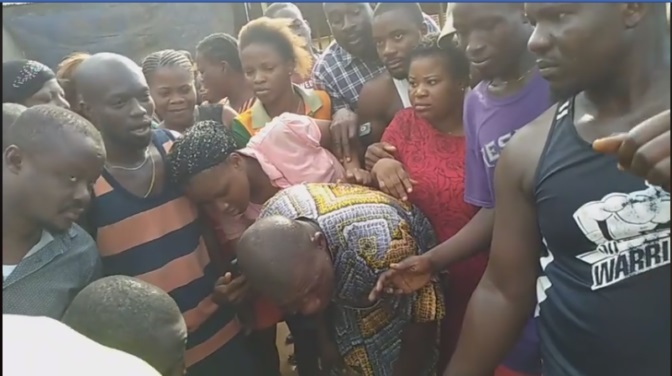 There was mild drama early this in Awka, the capital city of Anambra state after a thief was caught redhanded in a most dramatic way. It was gathered that the young man who is notorious for stealing fuel/diesel from peoples’ vehicles – was “mysteriously” trapped in the course of the latest operation. Residents alleged that the residents of the area that the thief was trapped by a ‘juju’ placed by the owner of a vehicle he was stealing from.